Jace Jules doesn’t like his brother Jarred. For years, their paths didn’t cross, but fate steps in and forces the two brothers to work together. 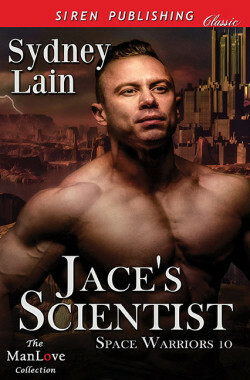 When Jace meets Yune, Jarred’s lead scientist, sparks fly, but those sparks turn into something more. Jace realizes that Yune isn’t just a hot man with a weird sense of style. Yune is his lifemate. Yune fell for Jace the moment their eyes met across a communication screen. Then Jace opened his mouth and angry words flew between them. When an accident leaves them stranded in the middle of the desert, they connect on a different level. When it’s discovered the shuttle accident wasn’t an accident, the situation turns dangerous. Jace jumps in to protect Yune but when Yune leans on Jarred, Jace’s jealousy chases Yune away. Will Jace ever get over the hatred he feels for his brother enough to allow Yune into his life? Will Yune open up and tell Jace everything before secrets push them apart?